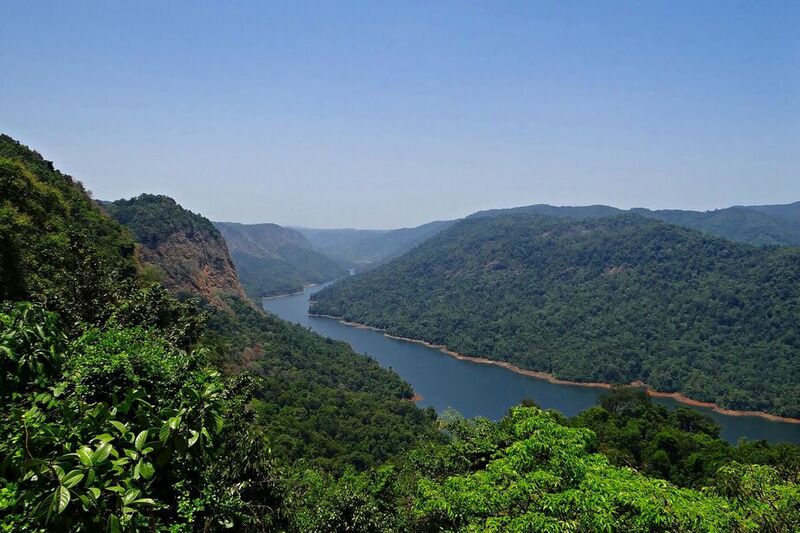 The Western Ghats is home to one of the world's most diverse range of flora and fauna. However, growing development demands have placed an intense pressure on the forests of this region, and the fauna has been taking a severe hit. With several economically and medicinally important plants in the 'threatened' category, the need to take action is urgent. Intense developmental activities over the last few decades have exerted tremendous pressure on India’s forests, to meet the needs of the country’s burgeoning population. The increase in agriculture, commercial crop plantations and other activities has threatened the existence of many economically and medicinally important plants. Nowhere is this truer than the Western Ghats, a region which is a UNESCO heritage site, and one of the top eight hotspots of biodiversity in the world. It is estimated that in this region alone, of the 325 globally threatened and endangered flora species, 229 are those of particularly high economic and medicinal importance. For instance, Semecarpus Kathalekanensis, commonly known as Kathalekan Marsh Nut, is used to improve sperm count, ensure a healthy reproductive system, cure digestion problems, and more. However, the dioecious canopy tree is now restricted to merely four freshwater swamps in the Ghats, with a total population of only 42 breeding individuals. Similarly, the Poryal tree (also called Vathamkollimaram or Kollignaval), a rare tree found in Kerala used to cure diabetes and arthritis, is reported to exist with a population size of only 15–20 individuals. Out of the 880 medicinal plants that are traded in the country, 66% of them involve harvesting of roots, bark or stem, which has severe implications on the survival of these species. In recent years, the export of Ayurvedic and Unani commodities has increased in quantity and value, which has resulted in the increased extraction of these commodities from the wild. An analysis of the RET (Rare, Endangered and Threatened) status of medicinal plants indicates that around 100 species of medicinal plants, 58 of which are globally threatened, in the Western Ghats are highly threatened due to excessive harvesting. This has lead to fragmentation and reduced population size; small population sizes can lead to genetic impoverishment. Unless urgent steps are taken to restore the population of some of these species, they may be completely lost. Species Recovery Programmes: A Saviour? The Species Recovery Programme emerges as a viable option to prevent the doom hovering over many of these plant species. While most of the species recovery programmes in India have traditionally been animal-centric – Project Tiger, Project Elephant, etc. – there have been a few attempts at these programmes for the country’s flora. However, in recent years, the Department of Biotechnology of the Ministry of Science and Technology, Government of India, has initiated a series of programmes; these aim to recover half a dozen plant species in the Western Ghats in the first phase, and over 100 plant species for the entire country in the second phase. The first phase has seen success; for instance, the Kathalaneka Marsh Nut was regenerated in a new habitat. Further, 250 tissue-cultured individuals of Ceropegia Fantastica, a critically endangered and endemic species, have been successfully reintroduced in 18 native locations of the Western Ghats. This programme has the ability to be successful in its second phase as well, provided it is planned properly and involves everybody, from the locals to the government. Of the 387 Red-listed plants of India, the 77 species that are critically endangered should be taken up for recovery on a priority basis, following which the next 172 species (characterized as endangered) should be looked at. In other words, a systematic programme needs to be carried, depending on the threat of survival that a species faces. There lies little room for debate over the urgency of the situation. A diligent team of well informed and proactive individuals with cooperation from the government (in terms of funds and facilities) can initiate a more widespread project, which will help in delisting many plant species from the Red List. Concerted efforts are required on the part of both, public as well as private parties to move ahead in this direction. The survival of these plant populations is inextricably linked to other environmental problems, like the loss of insects and bigger animals which depend on these trees and plants for survival and form a crucial part of the ecology of the ghats. The benefit of such programs branches itself into many directions, finally converging at the common destination of preserving the environment, and quite possibly, saving the Western Ghats. Previous articleI Got It From My माँ: Can a Multilingual Education System Improve Children’s Learning Outcomes? Next articleCan the Swacch Bharat Summer Internship Pave the Way for Community Service in Indian Education?